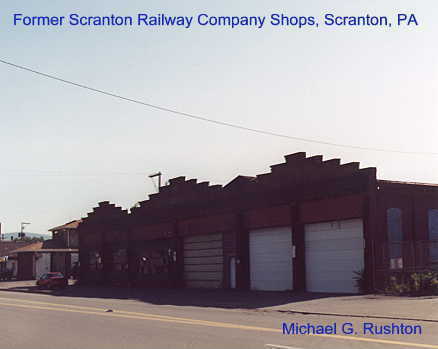 This is the former shops and carbarns of the Scranton Railway Company. 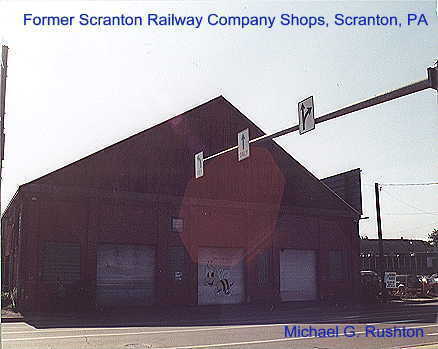 The City of Scranton DPW has been headquartered at the site for a number of years. 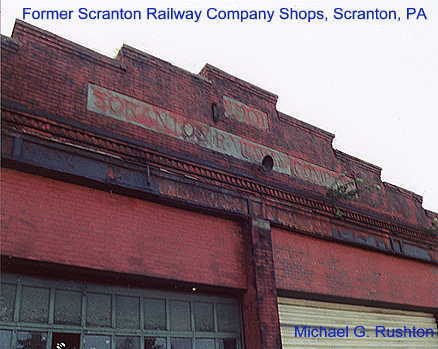 The Scranton Railway Comapany was a Trolley line. 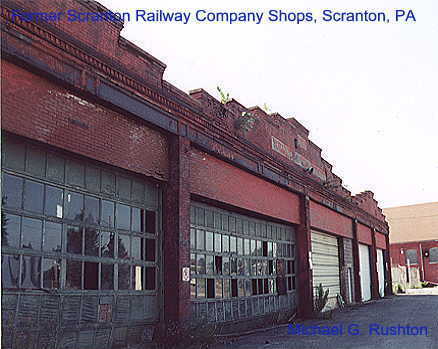 There were more buildings at the site, but it was too dangerous to enter the property because it is a working garage with trucks, fire engines, police cars being worked on at the site, and is posted no trespassing.